Let me put my expertise to work for you!! I have been a full-time, award winning real estate agent working in Owen Sound and the area since 2003. I work as hard as I possibly can in order to provide my clients with unbeatable real estate service!! I'm available every day, whenever you need me. I will always answer your questions/concerns in detail and if I am not able to answer my phone right when you call, I will make it my priority to get back to you within an hour at most. I will keep track of all the details that are required to make for a smooth transaction so that you can relax and not worry. I am very good at problem solving should one arise and will do what I can to either prevent them from occurring or will solve them quickly, hopefully before you even have to worry. I am a very determined negotiator and I am 100% dedicated to getting your home sold for the highest sale price possible and to assist you in purchasing the best home available at the lowest possible price. I am a very honest person and will tell you the truth, not just what you want to hear. You may choose not to listen to me (and that's ok) but I will be sure to gently let you know my opinion. I am here to absolutely represent your interests even if that means walking away from a transaction. Finally, I do not disappear after the sale is firm. If you have problems -- call me. I love my job and that will be evident in the service you receive!! On a more personal note, I am the mother to 3 grown children and 2 dogs. I love spending time with them whenever I can. I am an outdoor enthusiast who enjoys hiking, biking, canoeing, SUP boarding, camping, skiing, snowshoeing and more. On those snowy days when everyone is complaining, I am outside with a smile on my face and most likely with my two rescue dogs by my side!! Give me a call today so we can get started planning how to move towards the next phase of your life! If you would like to read what some of my clients have to say about me, please have a look at my page of testimonials. If you want to check out the Owen Sound real estate market right away, just click Owen Sound Real Estate. After browsing the available Owen Sound real estate listings, just email or call and let me know which ones you're interested in and I'll email you all the details. If you just want to relax and let me do it all, that's fine too. You can contact me with a brief description of the house you are looking for ie. price range, size, location etc. and I will email you new listings just as soon as they hit the Owen Sound and area market. I can show you or get you more information on any house, listed by any real estate company in the Owen Sound and Grey Bruce area of Ontario. Don't bother contacting several different listing agents, just contact me for information or to set up an appointment to see all the houses on your list. If you are thinking of selling real estate in Owen Sound, I would be pleased to view your property at your convenience so that I may conduct a market analysis to determine its current value on the Owen Sound real estate market. 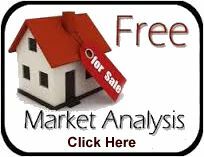 Please call today to set up an appointment for your FREE market analysis. I will do everything I can to make your home hunting trip as stress free and successful as possible!! I would be happy to show you every house that fits your criteria in Owen Sound, Meaford and/or the surrounding area. Give me a call or an email to book your week and let me know how I can start helping you today. Relocating to Owen Sound, Ontario? Email or call me on my cell phone with the addresses or the MLS® numbers of the houses you would like to see or simply send/call me with a description of the type of house you are looking for and I will set up a tour of houses for the day that you will be visiting. I will show you every house you would like to see within your price range. I would also be happy to answer any questions you may have about the area and will take you on a general tour of Owen Sound. With a Client Moving to the Area? Just call me or email me with your client's contact information. Don't worry about anything!! Your client will be given the best possible service. Fax your referral sheet to Ericka Hardy at (519)376-1355 and I will look after the rest.